This is perfect if you are building new, or just want to replace and upgrade swings and accessories on your backyard swingset. Perfect for Holiday or Birthday gift. All this in a single kit is a true value. 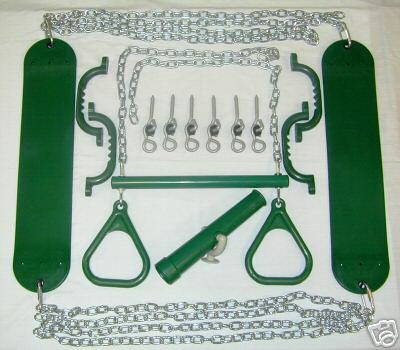 2 – Belt swings with HD chain, overall 66” length.